For courses in business communications. For the past two decades, business communication has been in a constant flux, with email, web content, social media, and mobile devices changing the rules of the game. 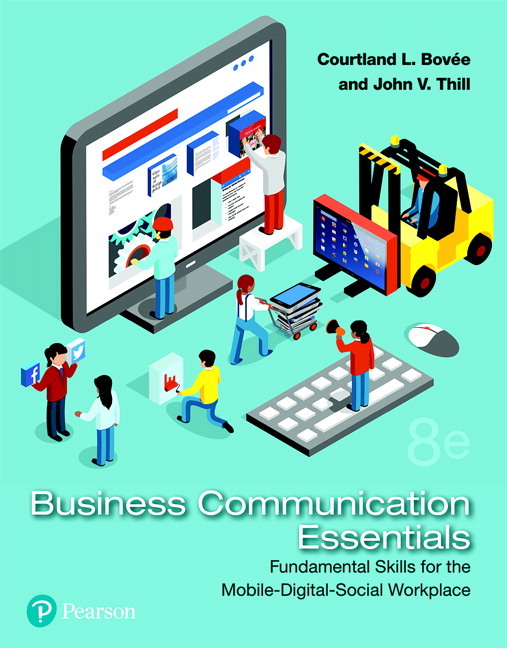 Business Communication Essentials: Fundamental Skills for the Mobile-Digital-Social Workplace equips students with the fundamental skills for a career in the modern, mobile workplace. With a balance of basic business English, communication approaches, and the latest technology, the text covers writing, listening, and presentation strategies in a contemporary manner. 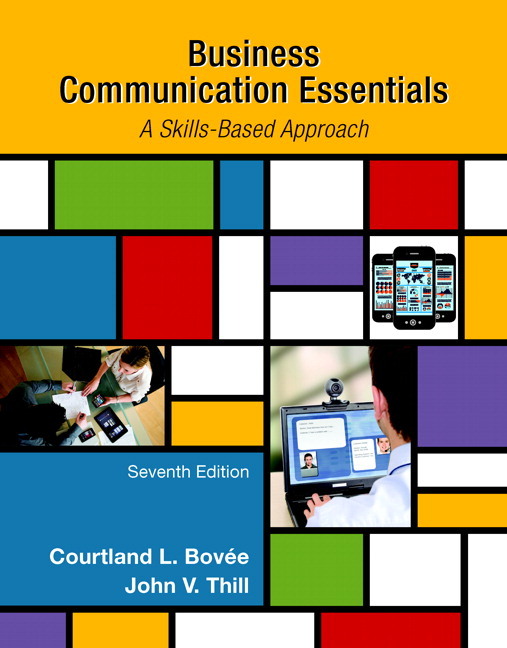 In the 8th Edition, Bovee and Thill provide numerous exercises, tools, and online resources to prepare students for the new reality of mobile communications, and emerging trends, for a bright start in the business. Note: You are purchasing a standalone product; MyLab Business Communication does not come packaged with this content. Students, if interested in purchasing this title with MyLab, ask your instructor to confirm the correct package ISBN and Course ID. Instructors, contact your Pearson representative for more information. Courtland L. Bovée and John V. Thill have been leading textbook authors for more than two decades, introducing millions of students to the fields of business and business communication. Their award-winning texts are distinguished by proven pedagogical features, extensive selections of contemporary case studies, hundreds of real-life examples, engaging writing, thorough research, and the unique integration of print and electronic resources. Each new edition reflects their commitment to continuous refinement and improvement, particularly in terms of modeling the latest practices in business and the use of technology. Professor Bovée has 22 years of teaching experience at Grossmont College in San Diego, where he has received teaching honors and was accorded that institution’s C. Allen Paul Distinguished Chair. Thill is a prominent communications consultant who has worked with organizations ranging from Fortune 500 multinationals to entrepreneurial start-ups. He formerly held positions with Pacific Bell and Texaco. Bovée and Thill were recently awarded proclamations from the Governor of Massachusetts for their lifelong contributions to education and for their commitment to the summer youth baseball program that is sponsored by the Boston Red Sox.